Air Force Special Operations Command (AFSOC) Shield (Color), U.S. Air Force graphic. In accordance with Chapter 3 of AFI 84-105, commercial reproduction of this emblem is NOT permitted without the permission of the proponent organizational/unit commander. Air Force Special Operations Command was established May 22, 1990, with headquarters at Hurlburt Field, Florida. AFSOC is one of 10 major Air Force commands, and the Air Force component of U.S. Special Operations Command, a unified command located at MacDill Air Force Base, Florida. AFSOC provides Air Force special operations forces for worldwide deployment and assignment to regional unified commands. The command's SOF are composed of highly trained, rapidly deployable Airmen, conducting global special operations missions ranging from precision application of firepower to infiltration, exfiltration, resupply and refueling of SOF operational elements. The command's core missions include battlefield air operations, agile combat support, aviation foreign internal defense, information operations/military support operations, precision strike, specialized air mobility; command and control; and intelligence, surveillance and reconnaissance. AFSOC's unique capabilities include airborne radio and television broadcast for psychological operations, as well as aviation foreign internal defense instructors to provide other governments military expertise for their internal development. 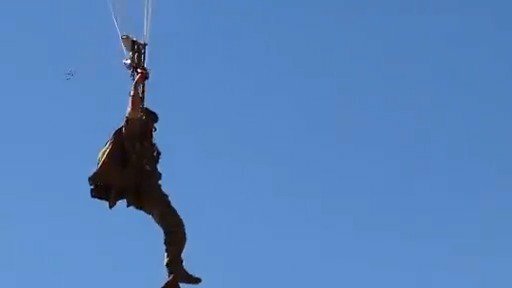 The command's special tactics squadrons combine combat controllers, tactical air control party members, special operations weathermen and pararescuemen with other service SOF to form versatile joint special operations teams. The command has more than 19,000 active-duty, Air Force Reserve, Air National Guard and civilian personnel. The command's active duty and reserve component flying units operate fixed and rotary-wing aircraft, including the CV-22B, AC-130, EC-130, MC-130, MQ-1, MQ-9, U-28A, C-145A, C-146A and PC-12. The command's forces are organized under four active-duty wings, one Reserve wing, two National Guard wings, one overseas group and several direct reporting units. The 1st Special Operations Wing at Hurlburt Field and the 27th Special Operations Wing at Cannon AFB, New Mexico, are composed of specialized aircraft to support special operations worldwide. Together, the wings operate AC-130U/J/W, MC-130H, CV-22 and U-28A, PC-12, MQ-9, MQ-1 and C-146A aircraft. The 24th Special Operations Wing at Hurlburt Field, provides special tactics forces for rapid global employment to enable airpower success. The 24th SOW is the only Special Tactics wing in the Air Force. The 352nd Special Operations Wing at Royal Air Force Mildenhall, England, is the Air Force component for Special Operations Command Europe. The 352nd SOW plans and performs specialized operations using advanced aircraft, tactics, air refueling techniques, and special tactics operators to transport, resupply, and support military special forces. The unit has six squadrons and two different types of aircraft: the MC-130J Commando II and the CV-22B Osprey. The 353rd Special Operations Group at Kadena Air Base, Japan, is the Air Force component for Special Operations Command Pacific. Its mission is air support of joint and allied special operations forces in the Pacific. The 353 SOG is comprised of five squadrons and operates the MC-130H Combat Talon II and the MC-130J Commando II. The Air Force Special Operations Air Warfare Center (AFSOAWC) organizes, trains, educates and equips forces to conduct special operations missions; leads MAJCOM Irregular Warfare activities; executes special operations test and evaluation and lessons learned programs; and develops doctrine, tactics, techniques and procedures for Air Force Special Operations Forces. The 193rd Special Operations Wing at Harrisburg, Pennsylvania., maintains and operates the EC-130J Commando Solo, the only airborne military information support operation platform in the Department of Defense. The 137th Air Refueling Wing at Will Rodgers Air National Guard Base, Oklahoma, maintains and operates the MC-12, designed to augment downrange intelligence, surveillance and reconnaissance capabilities.